On Thursday-17- May the Bogota Borough Council held their second meeting for the month of May. 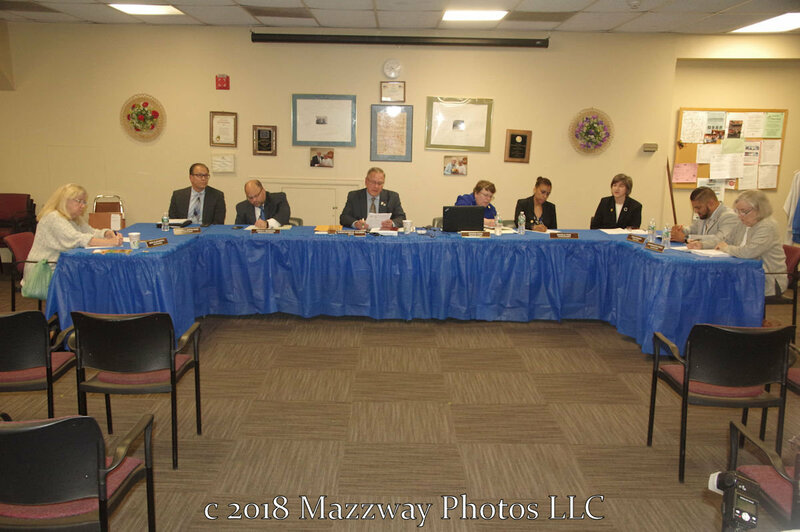 At the start of the meeting Mayor Chris Kelemen ask for a moment of silence to remember the Student and Facility from East Brook Middle School of Paramus. 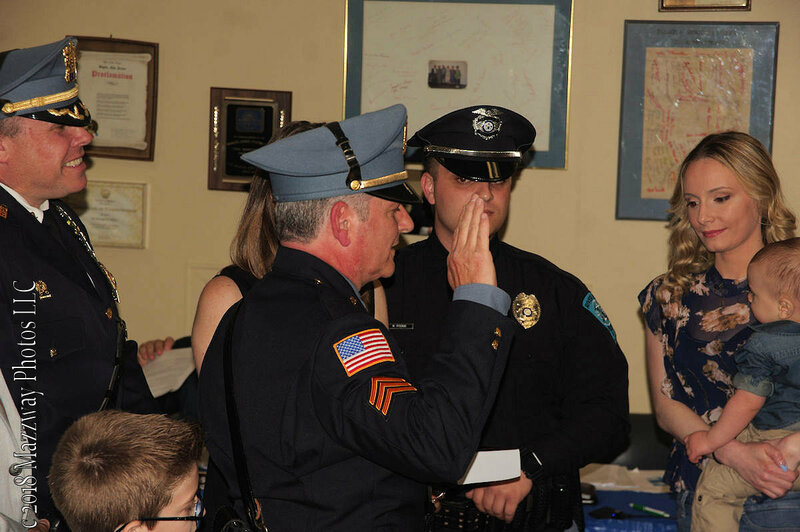 After Citizens comments Mayor Kelemen sworn in Robert Piterski as the new Captain for the Bogota Police Dept. 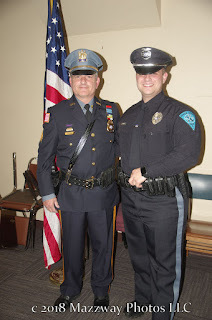 Captain Piterski is a 24 year Police Officer, he became a Detective in 2005 and then promoted to Sargent in 2011. 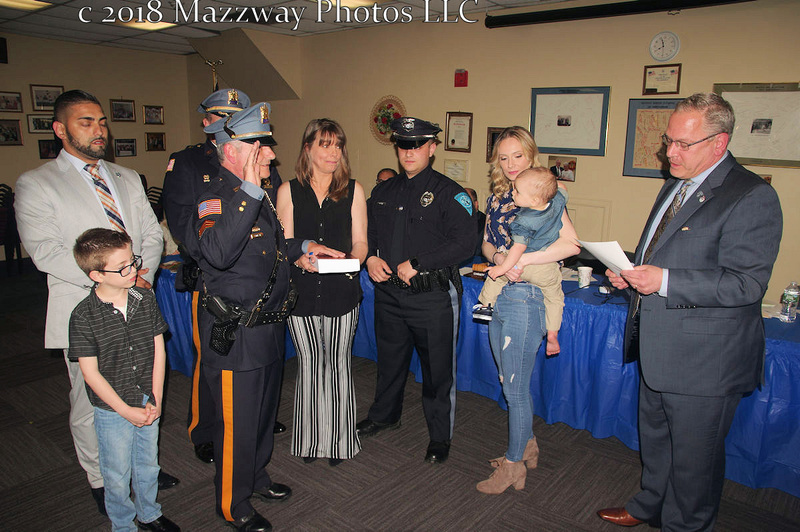 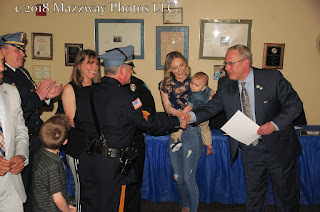 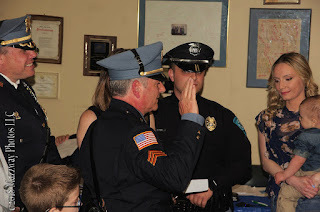 Captain Piterski was issued the oath of rank of Captain by Bogota Mayor Chris Kelemen accompanied by his family, Bogota Police Chief Daniel Maye along with Police Commissioner Councilman Frank Miranda. 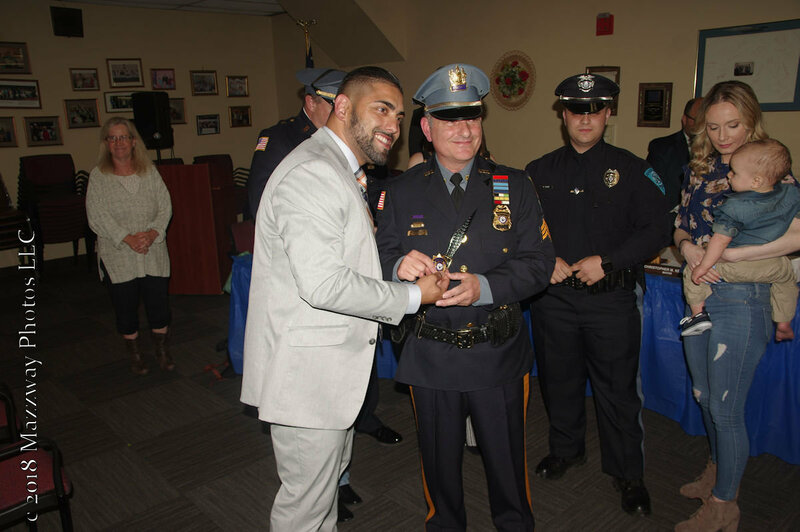 After the oath was excepted Captain Piterski was presented with his new badge by Councilman Miranda. 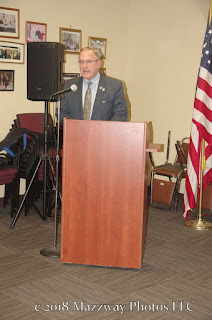 The next Bogota Council meeting is scheduled for Thursday- 7 -July. This will take place in the Council Chambers located on the second floor of Borough Hall at 375 Larch Ave Bogota, NJ. This meeting is open to the public.